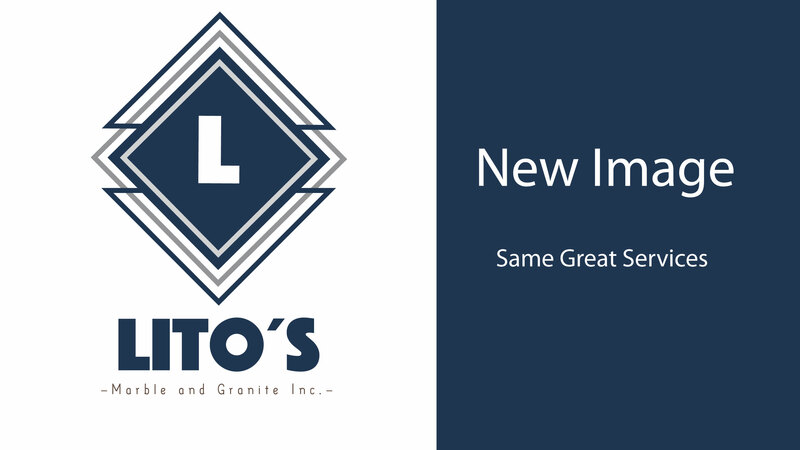 Lito’s Marble and Granite fabricates and installs custom granite counter-tops. 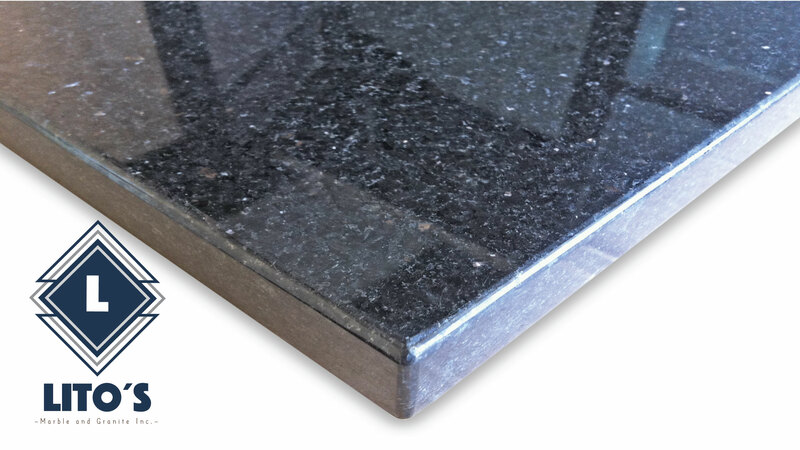 We can help create the perfect ambiance in your kitchen and/or bathroom with granite counter-tops. We aim to capture the unique and natural beauty of economical home improvement options that will transform your home or business into a stylish, unique place of comfort, beauty and splendor. We also do granite bathroom vanities and custom granite designs for what ever you may want in granite. Please visit our Photo Gallery to see examples of the products we can offer you! Whether you are remodeling your house or building, or just want some improvements, we are certified to purchase all the Man Made materials you need. We have the best providers. 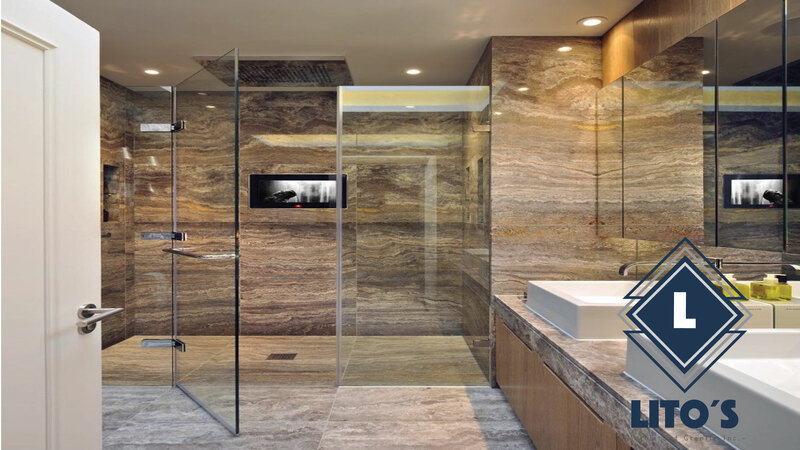 We transform stone into any design for your new remodeling idea. 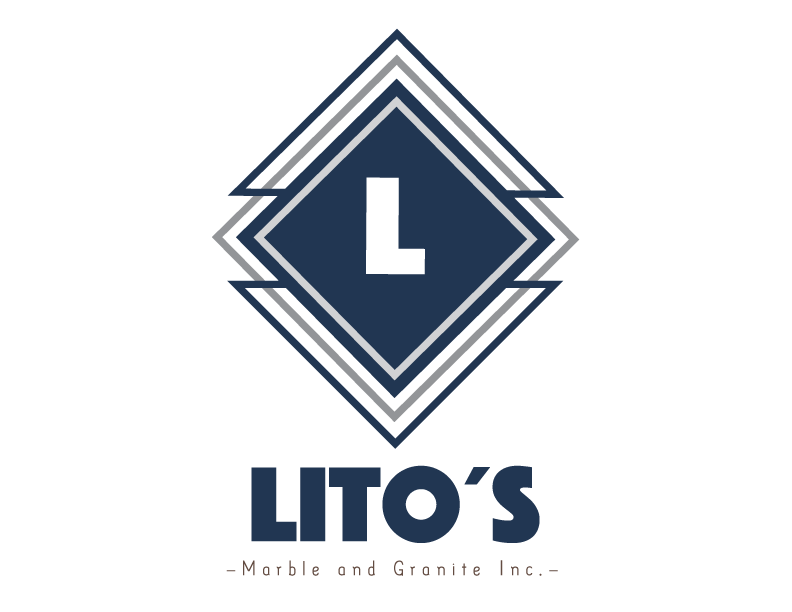 Lito’s Marble & Granite is a one-of-a-kind company. In every aspect of marble and granite business we are second to none. With our unbelievable stone selection, to advanced fabrication processes – we are your best choice. 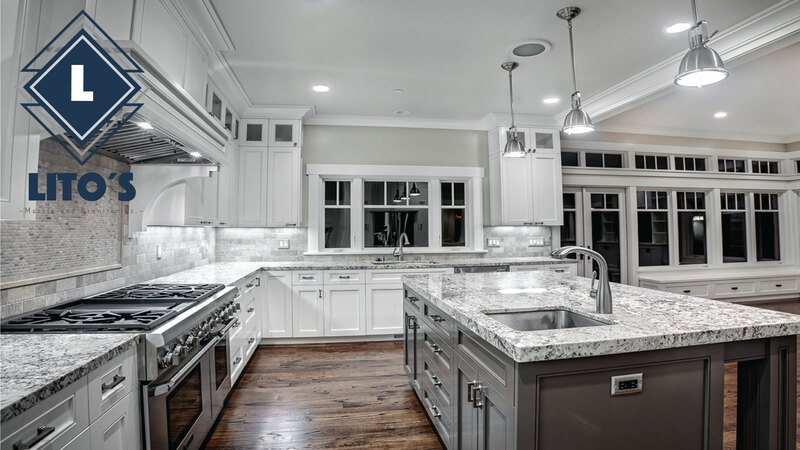 Turnaround Time – In just 7 to 10 days you can have the kitchen of your dreams. Highest Quality – We guarantee the highest quality of craftsmanship. Customization – We go a one step ahead to make sure you’re completely satisfied with your purchase. Price – we offer affordable prices for the best quality. We provide services to all types of customers in their building projects from major construction companies to private residential clients. From architects and designers to home improvement specialists. With the most advanced equipment and the most professional and skilled craftsmen we are able to provide a detailed installation and fabrication on every project. Lito’s not only had some but had some Carrara marble ones that were exactly what we were looking for. The price to fabricate and install was half what we had been quoted by several other shops. I had a small job to just create a backsplace piece for above my stove. 26×30. I had some leftover granite from my counter top, and asked Lito to remove the bullnosed piece, cut the size to my specs, and polish it. I was able to take it in and get it back on the same day. The piece came out pefect and exactly the right size. I am very happy with Lito’s work, and it was very reasonably priced. Gregorio recently completed remodel of two granite vanities, and a new granite fireplace. It looks fabolous and I am very picky. Gregorio is very professional and polite. He has been a pleasure to work with. I would recommend Lito’s Marble and granite. They are the best! We are so pleased with our granite. 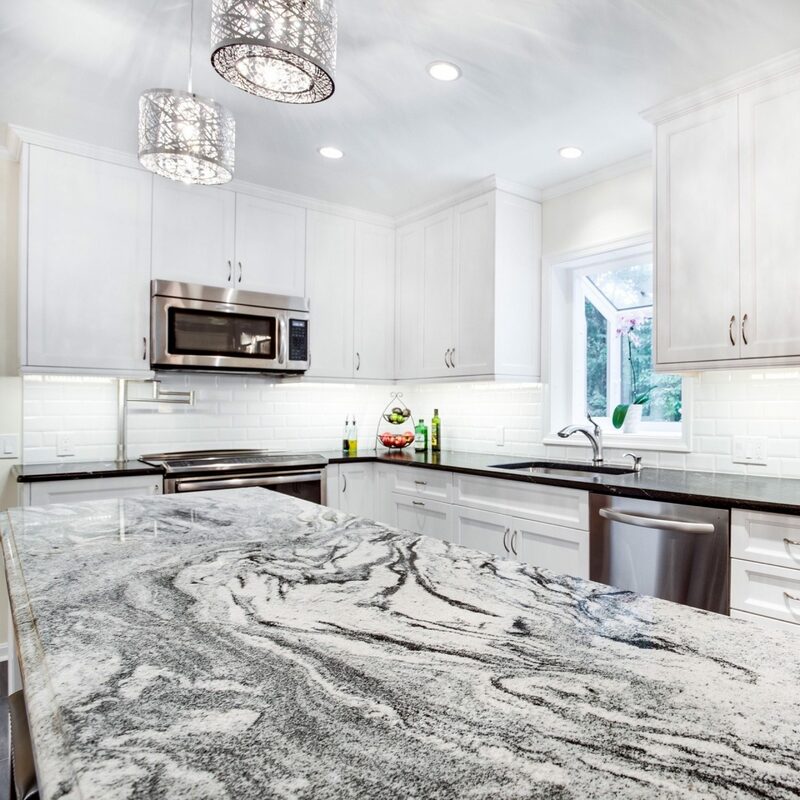 We had narrowed down our granite choices to two pairs of slabs with significant color features that we thought would make a dramatic counter top in our kitchen. Lito Viveros met with us at the granite store to make the final selection. He measured each slab and considered the layout and fabrication. He recommended one of the slabs as it would allow continuity between the countertop and the back splash. Once our cabinets were installed, Lito made a template to define the contours for the granite. Our kitchen is a bit unusual with a large curved peninsula so the template process needed to be rather precise. The granite flows into the window sill adding complexity to the layout. Lito determined the best layout that showcased the granite’s natural beauty. The granite has the appearance of a river running through it. We saw the template attached to the granite slabs at his shop. We then approved the layout. And then about 4 days later he was ready for installation due to a delay in one of his major contracts that was in the queue ahead of us. The on-site effort was a team approach in handling the heavy slabs as we had selected 3 cm think granite. They matched the seams so they are nearly invisible. The back splash appears to be a continuation of the slab with very similar coloration.